Today’s consumers want clean and healthy ingredients when eating out. 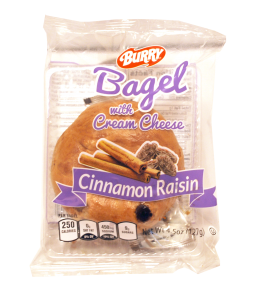 Burry Foods has an assortment of clean ingredient label products that will keep your customers coming back time and time again. Burry products are made in SQF Level 3 and BRC AA certified facilities. Serve a breakfast that will score high with your guests and keep them as a loyal customer. Burry has a variety of whole grain products Many are free of artificial flavorings and preservatives and they taste delicious! 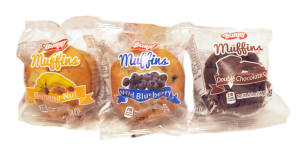 The Burry Individual Wrapped muffins and bagels are perfect for c-stores. Check out all the other Burry products to help grow your stores sales! Build a better bakery for your stores with the Burry bakery products. Burry offers a line up of delicious Donuts, Bagels, Sweet Breads and more. Burry Foods has a lineup of products to optimize your vending sales. Check out the Burry products that suited for your vending machine or micro mart business!